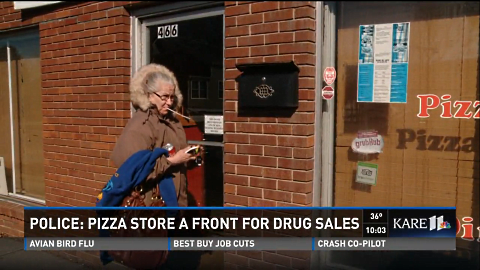 Lesson #1: Don't have packages containing massive amounts of marijuana sent to your pizza parlor via USPS priority mail. Papa Dimitri’s Classic Pizza in St. Paul, MN is a fantastic example of how not to run any business—legit or otherwise. 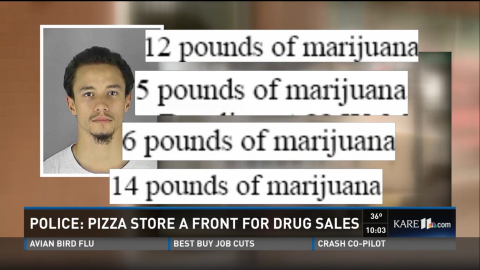 Ramsey County District Court has brought charges against owner Ryan Dimitri Brooks Sr. alleging that his pizza parlor was a front to move “massive amounts of marijuana”—and that his mother, grandmother, and girlfriend all helped with the operation. But what’s most impressive is how incompetent at crime they were. According to KARE-11, police first received an anonymous tip about the restaurant in August 2014. In the official criminal complaint, the tipster is quoted as saying that Papa Dimitri’s “…is rarely open and does not seem to do much actual business.” By itself, that may not seem like much. However, the tipster also noted that for some odd reason, Papa Dimitri’s employees would always eat their staff meals sitting in front of a restaurant down the street. Is USPS Priority Mail The Best Way To Ship Your Drugs? As sketchy as that might seem to an outside observer, the story gets worse (or better, depending on your perspective). During the investigation, police found that between August 2012 and October 2013, a U.S. Postal Inspector intercepted four packages that were sent to Brooks Sr.’s grandmother’s house and the restaurant. The reason: those four packages contained a total of 37 pounds of marijuana. After serving a search warrant at the home of Brooks Sr. and his girlfriend Lena Kirk, police found more marijuana, cocaine, some vials marked “testosterone,” a handgun, and $7,000 in cash. Brooks Sr. was subsequently charged with first-degree possession of cocaine, fifth-degree conspiracy to sell marijuana, possession of a firearm by an ineligible person, and engaging in business of concealing criminal proceeds. This wasn’t the first time Brooks and his mother had worked together. Back in 2006, KARE-11 reports that Brooks Sr. and his mother were driving a rental car through Nebraska from Las Vegas when they were arrested with 107 pounds of marijuana. One of the bags even had mom Rosalyn Brooks’ name on it, but while her son served 90 days in jail, she was never charged. When KARE-11 was interviewing people who worked at nearby businesses, Rosalyn Brooks showed up at Papa Dimitri’s. She spoke to KARE-11 off-camera and said she knows nothing about any alleged drug sales, nor the two guns with hollow-point bullets and three additional bags of marijuana that police found at her home. This just goes to show that bad business skills will get you absolutely nowhere, no matter what type of business you run.